I took a series of photos during my nephew's baptism backyard party. I was really focused on learning the effects of shutter speed. Remember I founded this blog because of my son's 2nd birthday party photo fail. I wrote more about that here. My son's party was entirely out of focus. I never understood how to switch shutter speed. In the days before my nephew's party I vowed I wouldn't have a repeat performance. I'm mostly happy with how they turned out. 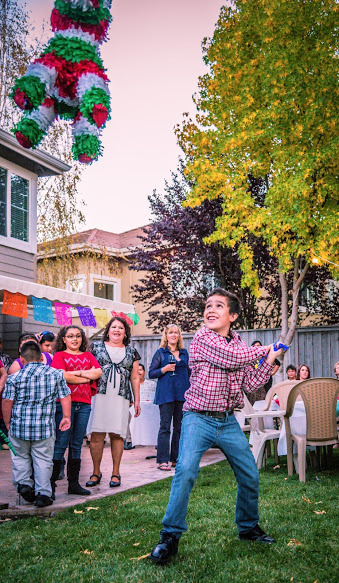 Here's a young boy in mid-swing going for that piñata.